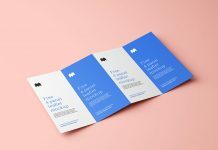 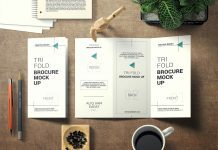 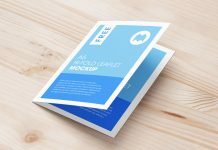 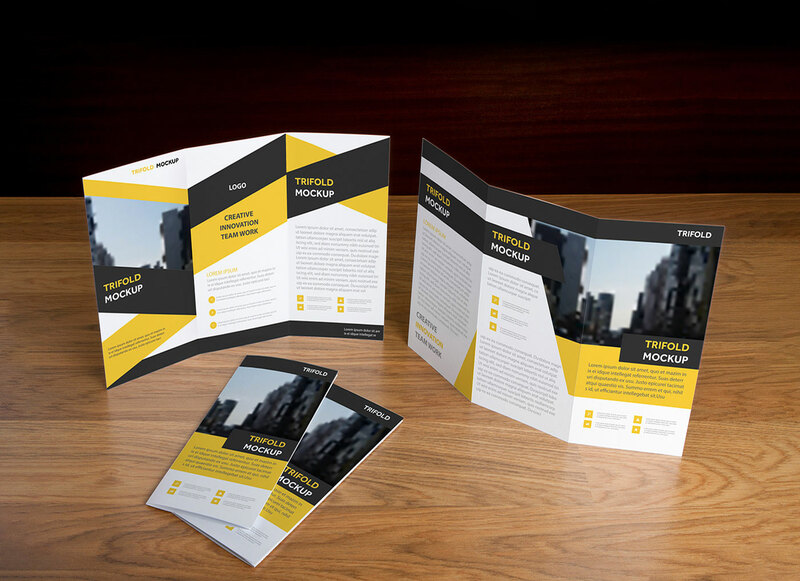 A photo based front and backside of free tri-fold brochure mockup in standing position and smart object ready. 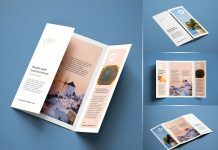 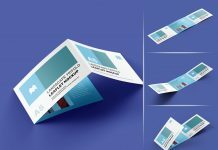 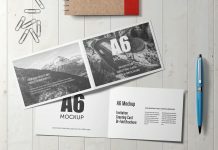 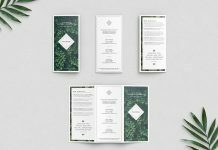 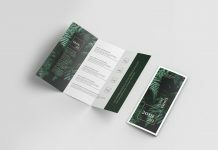 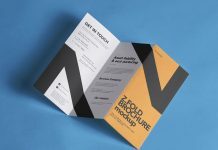 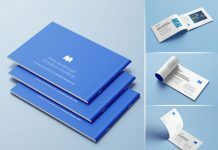 Place your brochure design one by one on each layer as there are 6 smart objects. 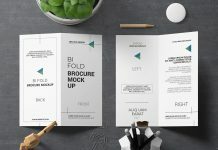 Download the file from behance and get a photo-realistic outcome of your designs.